The Liberal hydro rate relief program: sound policy or just a shell game? The March 2 hydro rate reduction announcement by the Ontario Liberal government was widely compared to converting a 20-year personal mortgage to a 30-year mortgage. Your short-term payments may go down but in the long run you end up paying a lot more. On March 2, the Ontario Government announced its latest package of initiatives designed to reduce hydro rates. The key initiative in the package (the re-financing of the Global Adjustment) was widely compared to converting a 20-year home mortgage to a 30-year mortgage and amounted to little more than a cheap accounting trick designed to bribe Ontarians with their own money. The re-financing initiative was the latest in a series of Liberal hydro initiatives that set aside sensible electricity policy and instead, embraced private-sector style financial engineering in order to pursue political – as opposed to policy – objectives. The purpose of this post is to provide some context and analysis to the March 2 announcement as well as other recent Ontario government initiatives on the hydro file. Engaged in a range of complex financial engineering exercises that simply shift current energy costs to future generations of ratepayers and tax payers. Clearly, a high profile measure such as the re-financing of the Global Adjustment (the key March 2 announcement) falls into the “financial engineering” category. That said, the government has implemented several low-profile initiatives that deal directly with the real hydro affordability crises facing many Ontarians. Moreover, the government is beginning to explore some market design changes that deal with the “structural” inefficiencies that have driven up the overall costs of the system. Unfortunately, the perceived political need to dramatically reduce all Ontarians’ hydro bills in the short-term has won out. The result is that the more nuanced and targeted initiatives that address the real problems of affordability and unnecessary system costs are taking a back seat to the misguided (but splashier) financial engineering initiatives. Should short-term rate reductions be paid for out of the hydro ratepayer or tax base? As a first step in “unpackaging” the government’s hydro initiatives, let’s start with the options available to the government to provide short-term relief for hydro users. 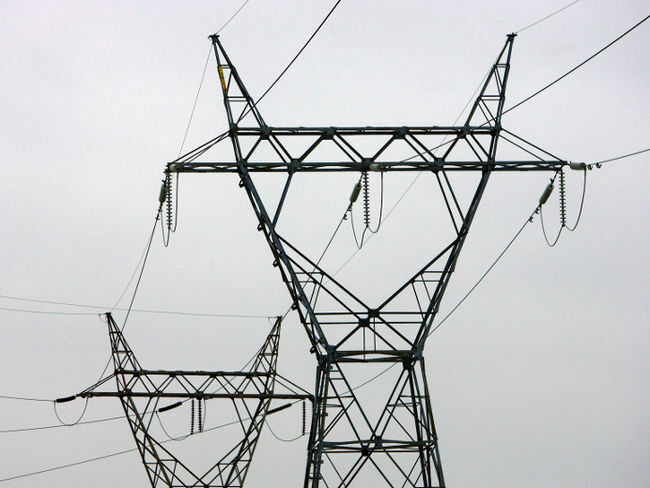 The essential thing to understand about implementing short-term reductions in electricity rates is that Ontario’s “hybrid” power system is structured so that by law, rates have to be set to recover the full cost of the system – and this includes the full costs of generation, transmission (long-distance wires), and distribution (your local hydro company). Therefore, as long as an initiative is rooted in the ratepayer base, any action taken to reduce the bills of one group of electricity users, will automatically increase everyone else’s bills by an amount equal to the savings of the target group. But that automatic trade-off occurs only if the rate reduction initiative is funded within the hydro ratepayer base. The other approach the Ontario government can take is to allocate tax money to effectively lower a particular user group’s rates. This is what the government did with the Clean Energy Benefit which reduced residential, farm and small business electricity bills by 10%. It was in effect from 2011 until the end of 2014 and cost the government roughly $1 billion a year. The recently implemented 8% hydro HST rebate is another example of throwing tax dollars at a large group of power users (essentially the same group as the Clean Energy Benefit) to reduce their bills. In principle, there is nothing wrong with using funds from a relatively progressive tax base to make life more affordable for those in need and critics who dismiss this approach as turning the electricity system into a “social program” are missing the point. The important thing isn’t whether initiatives such as the 10% Clean Energy Benefit and the 8% HST rebate are “social” in nature but whether they are targeted towards the people who really need the help. On March 2, Premier Wynne announced that in order to further reduce the bills of current hydro ratepayers beyond the reduction provided by the 8% hydro HST rebate, a portion of the Global Adjustment (GA) would be re-financed. The Global Adjustment is simply an accounting entry representing the difference between the market price of electricity at any given moment and the ongoing costs of generating it. The GA add-on is required because the market price in Ontario in the past decade has been far lower than what is required to pay for contracted (e.g. renewable) and rate-regulated (e.g. nuclear) generation. The market price is low because Ontario has an oversupply of generation and stagnating demand. Under the proposed Liberal plan, re-financing the GA would modestly reduce rates in the short term by spreading the cost of generation investments over the expected lifecycle of the infrastructure that has already been built. Again, the effect is a little like converting your 20-year home mortgage to a 30-year mortgage. While the GA re-financing will immediately cut repayment costs by about $2.5-billion a year allowing for a general rate reduction in the 15% range (as of this writing the implementation legislation had not yet been introduced so some of the specifics may change), it also means that in the long run Ontario ratepayers will be paying $25 billion more for hydro than they would have had there been no GA re-financing. In other words, all the re-financing does is force a future generation of ratepayers to pay $25 billion more to provide short-term rate relief for current hydro users. The “asking your kids to pay your hydro bills” element is one problem with the proposal but there is a more important reason that re-financing the Global Adjustment is bad policy: average Ontarians will end up subsidizing the immediate energy costs of more comfortably off people who really don’t need help in paying their hydro bills. In other words, as is the case with the 8% HST rebate described in detail below, the short-term rate reduction financed through spreading out payments isn’t targeted towards those who really need it. And as is the case with the HST rebate, the GA re-financing provides a benefit proportionate to electricity spending meaning that the more you spend on electricity, the bigger your savings. This simply makes no sense especially when one factors in the many government sponsored conservation measures encouraging Ontarians to use less energy at the same time that the GA re-financing (as well as the HST rebate), encourage them to use more electricity! In the introduction to this post, the question was asked as to whether the 8% hydro HST rebate is targeted towards the people who really need the help and therefore a good use of tax payer money. The answer is an emphatic “No” on both counts. In fact, the HST initiative is a pretty bad use of tax payer money precisely because it is not targeted towards the people who really need hydro relief. And the problem is not just that the hydro HST rebate throws hard-earned taxpayer money at everyone including those who don’t need the help. The truth is that it actually gives more money in absolute terms to the affluent than to those who are truly hurting. How can this be? Simple, what is often overlooked about subsidies such as the HST rebate and its predecessor, the Clean Energy Benefit, is that they provide a benefit proportionate to electricity spending meaning that the more you spend on electricity, the bigger your rebate. And, of course, the bigger your residence, the more you are likely to spend on electricity (think air conditioning). How does this play out on the ground? Last fall, Ontario’s Financial Accountability Officer (FAO) issued a report showing that the burden of home energy costs (which includes electricity and natural gas), as measured by the share of household income spent on home energy, falls more heavily on lower income Ontario households in spite of their lower overall energy spending. In 2014, the lowest-income 20% (quintile) spent on average 5.9% of their pre-tax income on home energy. The next three quintiles paid 4.3%, 3.3%, and 2.6% respectively, while the highest-income 20% spent only 1.7% of household income on home energy. According to the FAO, the cut-off line for the 60% of households comprising the lower 3 quintiles was $83,571. In other words, it is roughly the households paying out 2.5% or more of their income in home energy costs who need the help. For the most part (and there are exceptions such as those who heat electrically), those households in the top 40% earning over $83,500 are spending less than 2.5% of their household income on home energy and can afford their current energy costs. These folks shouldn’t have their hydro bills subsidized from either the ratepayer or tax payer base as tapping into these sources effectively means low and modest income Ontarians will be subsidizing the electricity costs of more affluent Ontarians who don’t have an energy affordability problem. The FAO’s report also showed that the average Ontario household in the top 20% of income earners saved $160 annually as a result of the HST rebate, whereas the average household in the lowest 20%, saved $63. What this means is that despite the fact that low and modest income Ontarians are paying a much greater proportion of their income in energy costs, the new, $1 billion HST energy rebate benefits higher income Ontarians far more than lower income Ontarians. In other words, while the average hydro user is getting around $120 annually from the rebate, the people who own 10,000 sq. ft. mansions in ritzy Toronto neighbourhoods such as Rosedale and Forest Hill are getting two or three times that from the HST rebate! Selling off the crown jewels to pay today’s bills: why the Hydro One sale makes no sense. Which brings us to the worst hydro initiative of them all: the 60% sale of Hydro One. In exploring why this is such a bad idea, let’s start with the analysis of the sale by Ontario’s Financial Accountability Officer (FAO). In its rigorous report, the FAO made a convincing case that Ontario will be worse off financially – and less able to finance future infrastructure (the government’s stated reason for the privatization) – with the 60% sale of Hydro One. In comparing the different options the province has at its disposal to finance its $130 billion infrastructure investment over the next ten years, it is useful to separate out the early years during which the province will be booking the proceeds of the Hydro One sale (15% each year) from the years after that. Starting with the first four years, of the roughly $9 billion expected to be raised by privatizing 60% of Hydro One, $5 billion would go to pay off hydro debt and the other $4 billion would be earmarked for infrastructure. These are ballpark numbers but the best-guess estimate of the FAO would seem to confirm this range even if some of the funds actually allocated to the Trillium Trust (the legal mechanism established to hold proceeds from Ontario government asset sales) aren’t proceeds from the IPO strictly speaking but emanate from complex financial engineering associated with the sale in the form of “deferred tax assets” (don’t ask). So in the years the shares are being sold the province is definitely in a better financial situation to make the infrastructure investments because of revenues from the share sale and the one-time windfall from the “deferred tax assets”. However, in subsequent years selling the utility to private investors will end up costing the provincial treasury far more than the sale proceeds taken in. That’s because Hydro One is consistently profitable returning roughly $750 million a year in total profits all of which previously went to the provincial treasury. Once the province sells 60% of its equity in Hydro One, its dividend from the company will fall to roughly $300 million annually – a $450 million annual reduction. As well, the utility now provides the province with what are called “payments in lieu” of taxes which are currently worth $100 million annually to the Treasury. While the company will eventually pay a portion of this in Corporate Income Tax, it will not start paying corporate tax until 2020 at the earliest. So three bad hydro ideas – all pretty much right out of the private sector’s financial engineering playbook whereby cheap accounting tricks are used to re-shuffle costs and liabilities to show a short-term gain at the expense of long-term pain. But as mentioned above, the government has been pursuing some low-profile initiatives that actually make sense! Enhancing the Ontario Electricity Support Program: a good idea that could have been so much better. Ironically, at the time the 8% HST rebate was announced, the province already had in place a highly targeted program that dealt specifically with the energy affordability challenges of low and modest income Ontarians. It’s called the Ontario Electricity Support Program (OESP). The OESP reduces electricity bills by up to $600 annually for eligible low-modest income electricity consumers and up to $900 for those with electric heating and certain medical equipment. The program is currently funded out of the electricity ratepayer base. The existence of the program at the time of the HST rebate announcement begs the question as to why the government chose to allocate $1 billion of tax payer money annually to a new program that benefits affluent Ontarians much more than modest income Ontarians, when the Province could have enriched the OESP at less cost than the HST rebate. Let’s take a closer look at the OESP. First, benefits related to the OESP are modest and are reduced the higher the household income and the smaller the household size. For example, a household of 7 or more with a collective income of $28,000 or less per year gets the maximum monthly amount – $50.00. Moreover, $52,000 in annual household income is the ceiling for receiving benefits under the OESP and households in the $48,001–$52,000 range receive benefits only if household size is 7 or more and even then benefits are only $30/month! The program also takes into account the special needs of heavy residential hydro users that rely on electrical heating by offering these ratepayers (and those who rely on certain medical devices) an extra $300 annually above the base level of benefits detailed above. Clearly, given its narrow eligibility criteria and modest benefits there was a strong argument in support of broadening the OESP to include far more hard-pressed Ontarians and for increasing the average benefits. The program also had no business being paid for out of the ratepayer base as it clearly belonged on the tax base. And logically, such an enhanced and expanded tax base funded OESP would have been implemented as a substitute for, rather than in addition to, the regressive $1 billion, HST hydro rebate. While the implementation of the 8% HST rebate completely ignored the existing OESP, in a low-profile press release accompanying the March 2, GA re-financing announcement, the government did commit to a significant enhancement of the OESP program. This is all for the good and warrants further discussion as the OESP enhancement could (and should) have been the key element in the government’s rate reduction program. Exploring automatic qualification for customers who are enrolled in other provincial low-income social programs such as Ontario Works and ODSP. The Province is also taking an additional positive step and is shifting funding for the OESP out of the ratepayer base and onto the tax base. This has the added advantage of slightly reducing rates for all Ontario hydro users. The one flaw in the March 2 OESP enhancement announcement – and it is a significant one – is that the $52,000 household income eligibility cap remains intact. Clearly, a strong case could be made for having the upper household eligibility limit in the $85,000 range. Had that been done, over 60% of Ontario households would have been receiving assistance from the OESP program with additional assistance being directed towards those who rely on electrical heating or who require special medical devices. An enhanced OESP of this sort would have obviated the need for both the 8% HST rebate and the GA re-financing and taken a load off the long-term ratepayer base. The real source of sky-high hydro bills – Ontario’s inefficient hydro system. There are, of course, other changes that could be made that don’t simply redistribute the costs of the existing system amongst different groups of ratepayers (or taxpayers) but rather, deal directly with the inefficiencies built into Ontario’s patchwork electricity system. These are changes that would reduce the costs of the entire system and therefore potentially reduce costs for everyone. In fact, creating a more efficient system by improving the planning process, substantially changing the market design, consolidating hydro agencies, strengthening the consumer perspective at the Ontario Energy Board, and dealing with other “structural” issues, is where the really substantial savings can be found. As mentioned above, Ontario has a few very low profile structural initiatives underway that hold promise. One of those initiatives is the development of a “capacity market”. The capacity market as well as some interesting proposals put forward by the Ontario New Democrats will be the subject of a subsequent post. Undoubtedly, there will be those who will argue that it is politically naïve to suggest that the 40% of Ontario households earning more than $85,000 shouldn’t have their hydro bills subsidized. After all, we live in an era of “populist” politics and restricting hydro subsidies to the 60% of households who pay more than 2.5% of their household income on home energy costs, just isn’t populist. To which one could respond: only in the era of Donald Trump could populism mean that average Ontarians should help pay for air conditioning 10,000 sq. ft. Forest Hill and Rosedale mansions. Reining in Canada's Financial Giants - Are Consumers Getting a Fair Break? Came here excited that I would I find unbiased fact-checking. As a fellow federal government analyst, disappointed that I found a politicking shill.